Canada has high-quality uranium deposits and a highly developed base of nuclear technologies, including power generation, medicine, food safety, mining and processing, and materials science – in all of which Canadians have done well, as innovators and as businesses. That Canadian power reactor designs have been sold in six other countries — against substantial US, Japanese and European competition — is a remarkable technological and commercial success story, especially considering that they were developed and marketed independently by a small country, and only for civilian uses. Management of this business has passed to Candu Energy Inc., and Canadians will soon see what private industry can do with this opportunity given the current nuclear revival, which is being led by emerging economies. There are diverse examples of nuclear energy being used for process heat applications such as smelting minerals and desalinating seawater. And today there are various new nuclear reactor technologies available or on the horizon (Generation III and IV reactors, small modular reactors and others) that promise to make nuclear power options even safer than they currently are, as well as easier to finance. The development of the oil sands has repeatedly faced difficult technical and economic challenges. While private industry was the main driver and investor, public sector actors played a significant role. Backed by industry consensus and assisted by economic policy through such measures as royalty and tax adjustments, these public sector champions enabled the development of the oil industry that Canada has today: our largest export earner and a huge wealth generator for the private and public sectors. Capturing more of the value of this resource within the Canadian economy is of interest to many in policy circles. So would be extracting the bitumen in ways that mitigate greenhouse gas emissions and conserve cleaner fossil fuels. Among the options would be to apply nuclear power in place of natural gas to generate the heat needed for bitumen extraction. While innovators in the oil sands industry are aware of the long-term possibilities of nuclear, for the most part they are currently occupied with closer-to-deployment technical advances. Currently deployed reactor designs would not be easy to apply to bitumen extraction in the oil sands. They require large, permanent installations with large support staffs. Even with these challenges, however, nuclear appeared in a 2003 study by the Canadian Energy Research Institute to be approximately competitive with natural gas in in-situ applications. 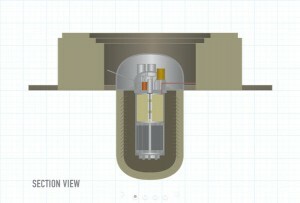 Newer reactor designs such as the Enhanced CANDU 6, the Advanced CANDU Reactor (ACR-1000), and other so-called Generation 3 and 4 reactors, some of which are close to deployment but have not yet established multi-year track records in operation, will further advance the safety of nuclear energy and could substantially improve its economics. 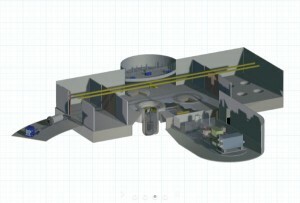 Also, several small modular reactor (SMR) designs are being promoted – in varying degrees of proximity to deployment – with promises of further reductions in the financing, building and maintenance costs of nuclear energy, improving its applicability to non-power uses. 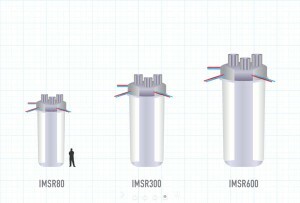 These promised advances are mainly based on SMRs’ portability, modularity, steam characteristics, and maintenance needs. First, some academic and/or think-thank studies to build awareness of the scope of the opportunity. Second, a technical survey of the bitumen operations’ energy requirements, and of the available nuclear technologies, to shorten the list of technical options. Third, a multi-stakeholder technology development process, aimed at narrowing the technology gaps to a point where cost ranges and time frames would be sufficiently defined that business models could be contemplated. But having a vision of what we want, and the imagination to get there, is indispensable to winning as a country. The successes we have today in Canada’s nuclear and oil sands industries, the pioneers who foresaw them, and the roads we travelled to achieve them, tell us that.